The Suzuki Cultus is a sleek, five-door, hatchback mini compact car that is produced by Pak Suzuki Motor Company, a Suzuki Motors’ subsidiary located in Karachi, Pakistan. 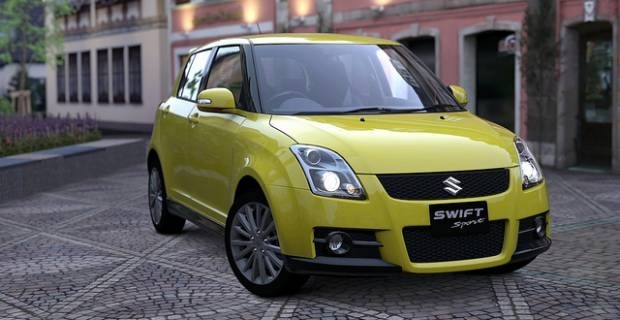 The car was branded different names by Suzuki Motors in different markets like the Chevrolet Metro or the Suzuki Swift in North America until it ceased production in 2003. As of 2010, the Cultus was only produced in Pakistan. The 2010 Suzuki Cultus is available in three models: the base VX, the mid-level VXRi and the "power" VXL. The mini compact car is supported on a mere 93.1 inch wheelbase. Its length from bumper to bumper is just 151.3 inches, width 62.3 and height 54.3 inches. The car’s ground clearance to the chassis is only 6.7 inches. The Cultus sits on 155/80R tires and 13-inch steel rims and packs an 8.8 gallons fuel tank. The 2010 Suzuki Cultus models are stripped down and require buyers to order specific equipment. Standard features of the car, however, include an ergonomic instrument panel with standard equipment, an optional MP3/CD audio system, air conditioning and child lock doors. Other interior features include power steering and power door locks and windows for the VXL model. The VX model comes fitted with plastic vinyl rear and front seats while the VXRi and VXL comes fitted with fabric seats. Exterior features of the Cultus include intermittent wind shield wipers, green tinted glass and wheel covers. Additionally, the VXRi and VXL get body colour bumpers and the VXL gets body colour external mirrors. The VX features plastic vinyl door panels while the VXRi and VXL feature a plastic vinyl fabric trim. The Suzuki Cultus is available with two engines that both maintain 993 cubic centimetres displacement and produce 55 horsepower and 85ft.-lbs of torque. The 2010 Cultus model comes with four cylinder, inline engines that have a smaller stroke of 2.83 inches and 2.40 inches respectively, but maintains the same 993cc displacement. The 2010 model, however, has a lower 45 horsepower and 78ft.-lbs of torque. The compact car is nonetheless equipped with a five speed manual transmission system that is adequate.